The Great Kindness Challenge is proudly presented by Kids for Peace, a global 501(c)(3) nonprofit organization. What started organically as a neighborhood group of kids wanting to make our world a better place, has grown into an interconnected network of young peace builders worldwide.At the heart of The Great Kindness Challenge is the simple belief that kindness is strength.The Great Kindness Challenge is a grassroots movement that is making our schools, communities, and world a kinder and more compassionate place for all. Dawson Hartwig was a lover since day 1 in so many different ways. He had a HUGE heart and loved and cared for others in ways that many of us don’t know. He put others above himself and was a man of immense integrity. There are so many lives that were changed because of his love including each of ours. His impact was enough to last a lifetime. It is with his spirit in mind, we would like to encourage you to Be Kind, during the Great Kindness Challenge week and always. Today kicks off The Great Kindness Challenge, Jan 28 – Feb 1st. A week focused on kind acts, with over 10 million students in more than 100 countries around the world will participate in acts of kindness. Rubio’s Coastal Grill Fundraiser Supporting The Great Kindness Challenge! 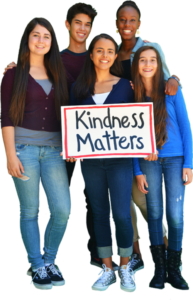 On Wednesday, January 30th gather your students, friends, and family members and visit your local Rubio’s to help support The Great Kindness Challenge. All you need to do is mention “The Great Kindness Challenge” when ordering and Rubio’s will donate 20% of pre-tax proceeds from your meal! How COOL is that?!? !